I say this each and every time I write about bread, there is absolutely no reason to be intimated by the bread making process. 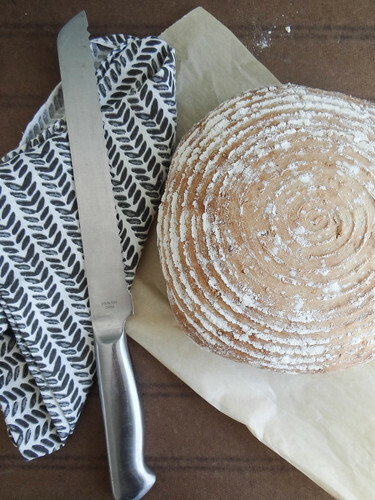 With a little bit of patience and time you will have yourselves an amazing loaf of bread that is totally brag worthy. 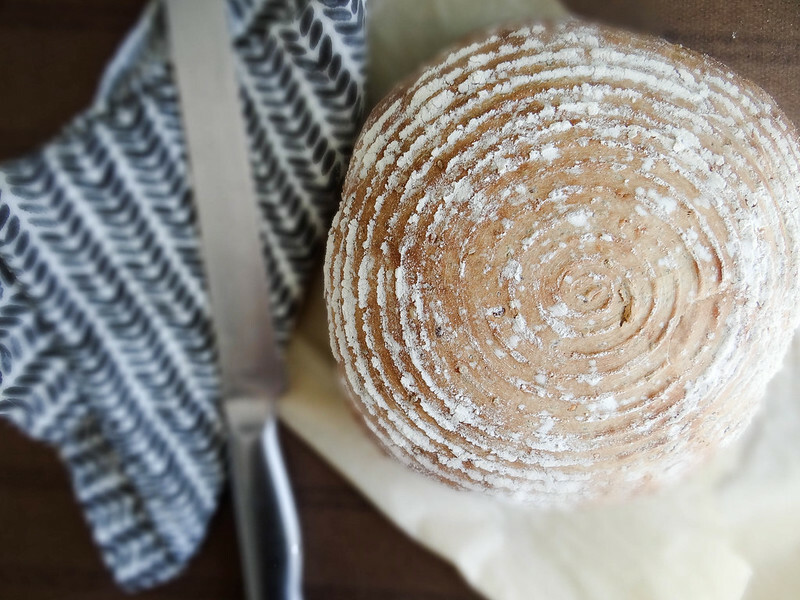 Most of the time needed to make a loaf of bread is inactive- plenty of time between each stage to catch a half season of your current obsession on NETFLIX or Amazon. Please tell me I'm not alone when I say I can power through a whole season over a weekend - missed 5 season's of Chopped? No problem, I'll be caught up next week! I will say, this bad habit quickly goes into hibernation once warmer weather arrives, but for now in -2 degree weather I am camped out on the couch with a hunk of bread and the latest episode of Intervention. 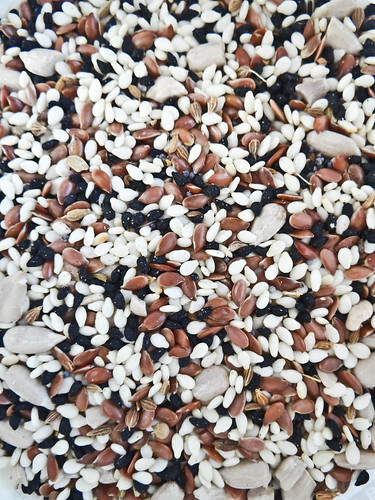 You can either make your own seed mix or purchase one already done up for you- of course the one you make is going to be the less expensive option, but if you are feeling lazy King Arthur Flour makes a pretty awesome mix. I know you are admiring those pretty circular lines, those were created during the second rise/ "proofing" stage in a proofing bowl. You absolutely do not need a proofing bowl/basket to make amazing bread, I actually made bread for years without one. My plans for this weekend include baking up another one of these gorgeous boules, hot cups of tea, a little something sweet, Sunday morning laziness & loads of little orange kitty snuggles. 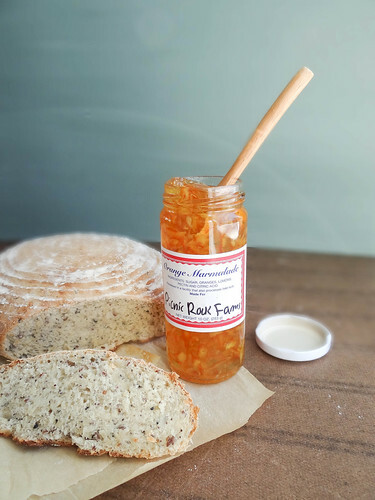 Speaking of orange, is that not the most beautiful orange marmalade you ever did see? I totally need to learn how to make some of that goodness on my own- maybe this weekend! Combine warm water. 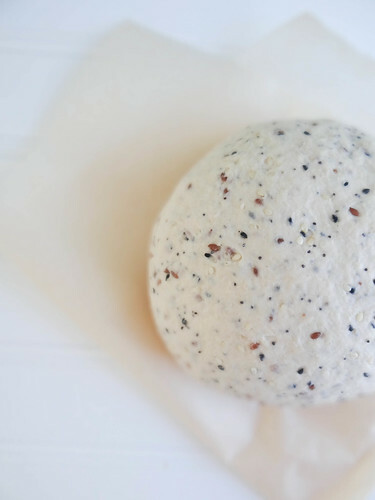 yeast and maple syrup in a medium mixing bowl- allow to sit for 5-10 minutes until frothy & bubbly. 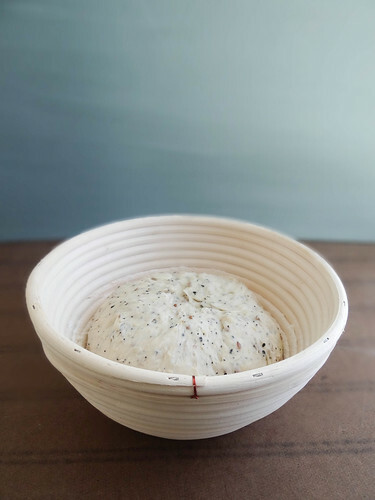 Add yogurt, seeds and 2 cups of all purpose flour to the mixing bowl, gently stir with a wooden spoon or your hand until a rough dough ball begins to form, sprinkle a bit more flour over the dough and begin to pull the remaining dough away from the sides of the bowl. Turn dough ball onto a lightly floured surface- a 1/4 cup at a time begin kneading in remaining 1/2 to 1 cup of flour. Knead 8-10 minutes until dough is and smooth and elastic. 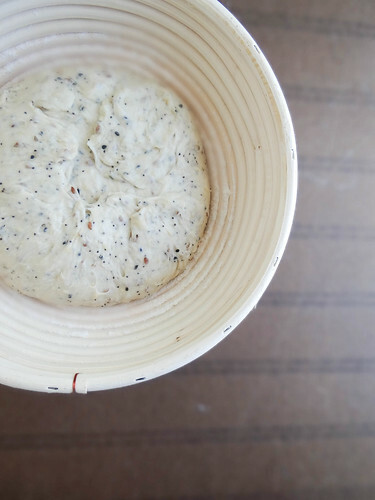 Grease your mixing bowl and place dough ball into bowl- tightly cover with plastic wrap. Place in a warm area free from drafts- a warm oven (no direct heat) is great for this- allow to rise until double in size. Punch dough down and allow to rest for 5 minutes. 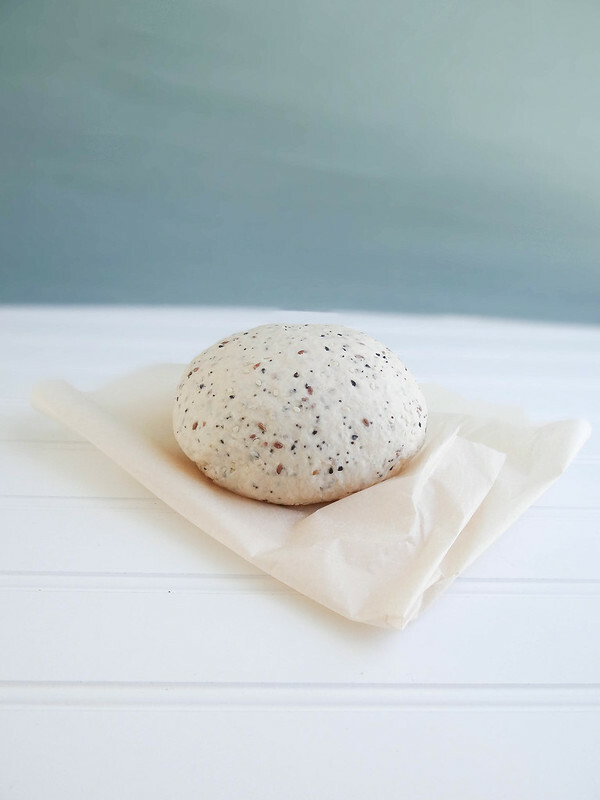 Place dough in a floured proofing bowl or free form a boule and place on a piece of parchment and baking sheet. Cover with a lightly floured dish towel and allow to rise again until double in size. 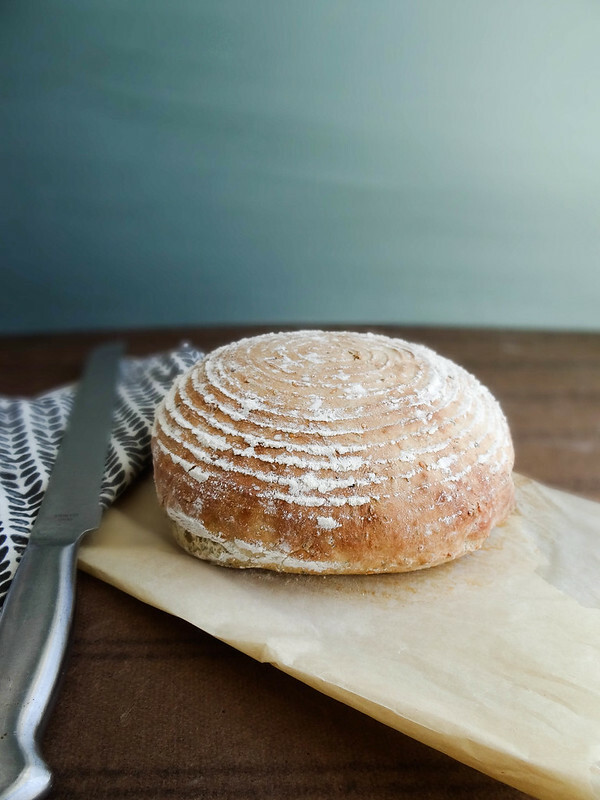 Place your boule (if it is not already) on a parchment lined baking sheet or pre heated baking stone (you can slash the top of the boule with a very sharp knife or scissors if you would like). Bake in the oven for 20-25 minutes until brown and when the bottom is tapped it sounds hollow. For an extra thick crust, place a baking sheet (metal) at the lower most rack while oven is pre heating. When you transfer your bread to the oven, place a few ice cubes in the heated sheet which will create steam. Remove from oven and allow to rest for a minimum of 5 minutes prior to slicing. I loooooove the look of this bread!! Yum! Love the proofing bowl. I need to get one ordered! I do love my proofing bowl! This looks amazing! What type of seeds do you recommend? How long does it take to rise? This loaf looks so beautiful, and I bet it tastes amazing too! I think I'll give it a try with the poppyseeds, sesame seeds, and flaxseed meal (hey, it's still flaxseeds, right?) we have in our kitchen. But not until next week, since we have two whole loaves of bread right now! 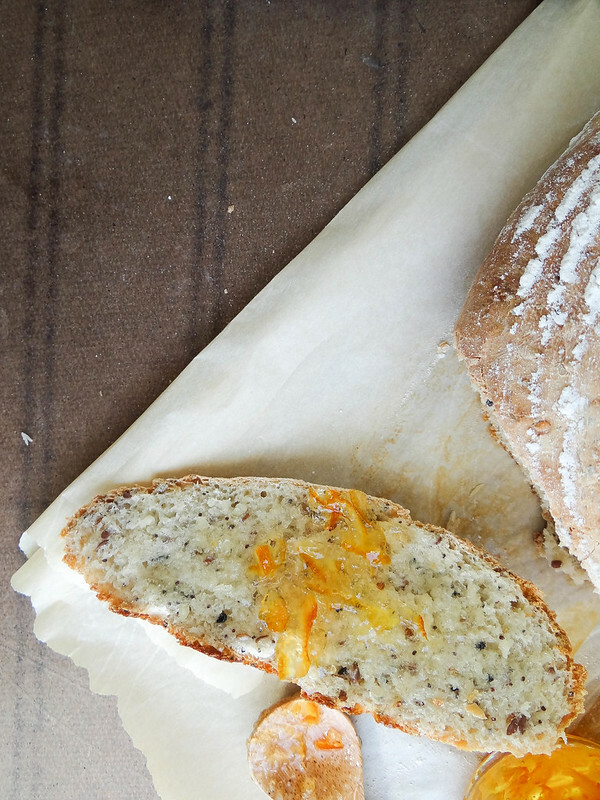 i am a sucker for gorgeous breads and this one is so so pretty! Me and you both Richa! 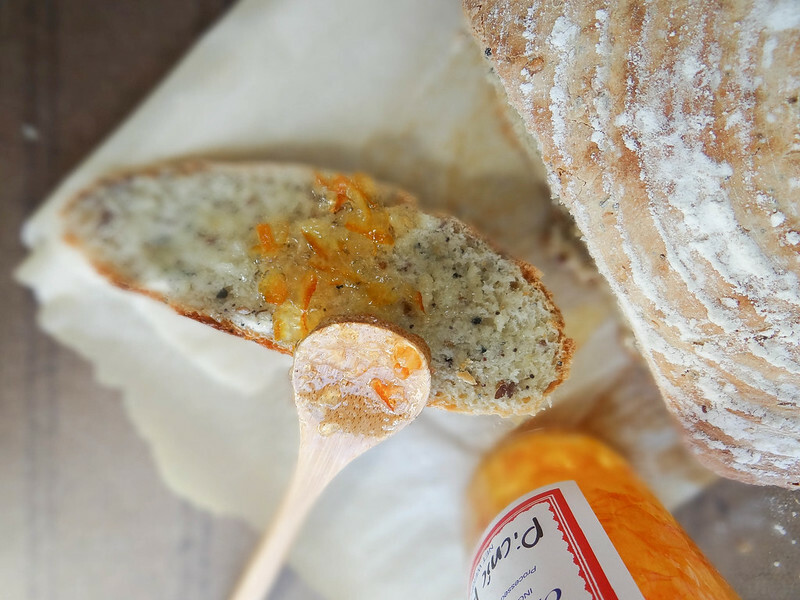 How I'd love to make this bread right now. I think there's nothing better than home made bread, straight out of the oven. Love the combination of seeds you use, it looks delicious! That is just beautiful, and a perfect bread to break in my new bannetons! :) Pinned! Fun! Do you have the round or oblong bannetons? 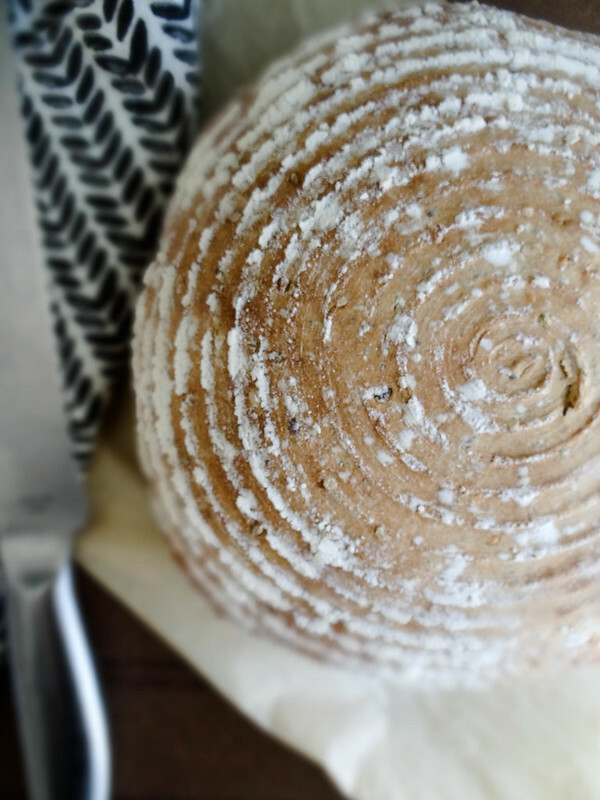 I can't believe you actually made that boule yourself - it looks so professional with those lines! I haven't made my own bread in awhile, but it's always so satisfying, especially with a good jam to eat it with. Love the mixed seeds addition too! Awww thanks - I truly love everything about this bread!